Opera is a café inspired by classical music. 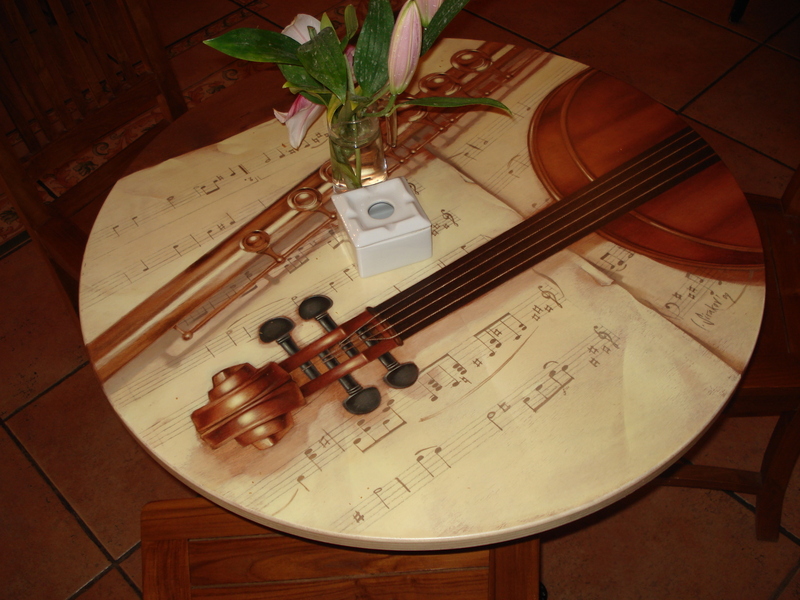 Instruments and musical notes adorn walls and the local. The owners,restauranteurs careful, wanted to surprise its customers with a unique décor in the area. 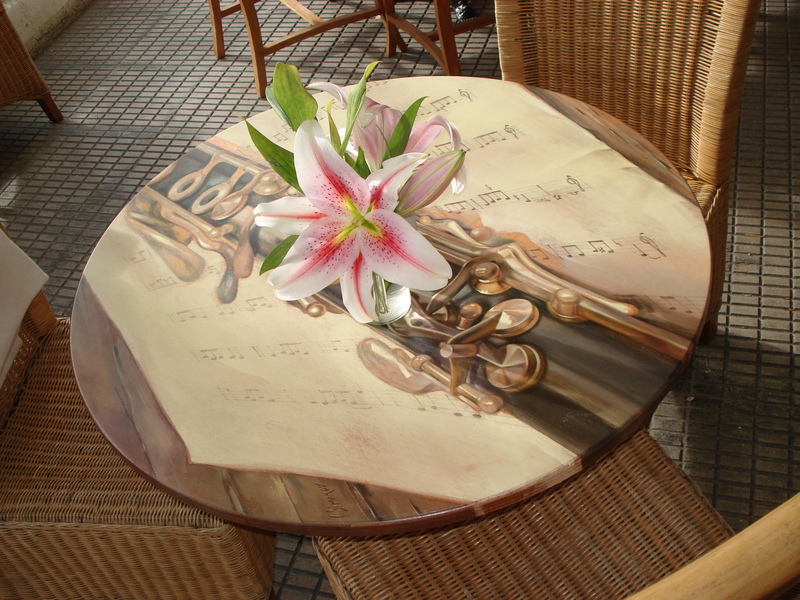 After understanding the needs of owners, SirakovArt decorated and personalized coffe tables, painting the details of 13 different musical instruments. 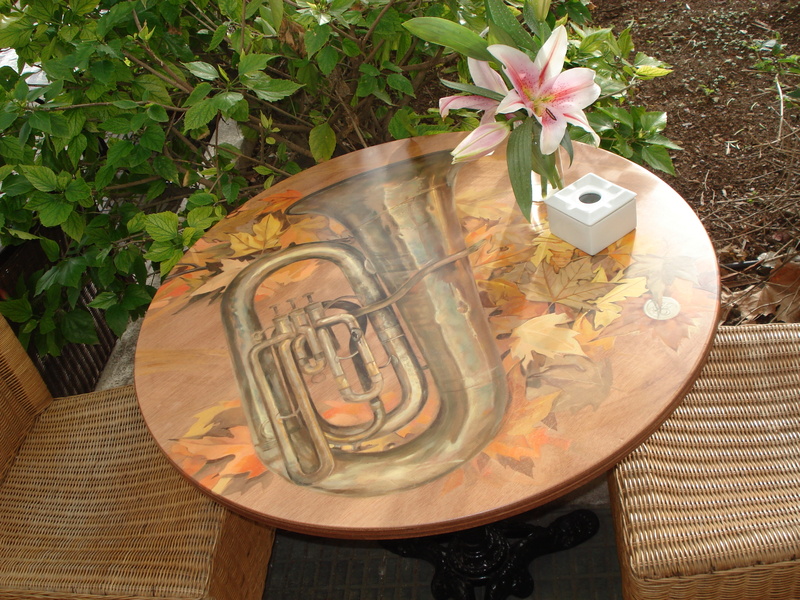 The artist spent a week working for each table. 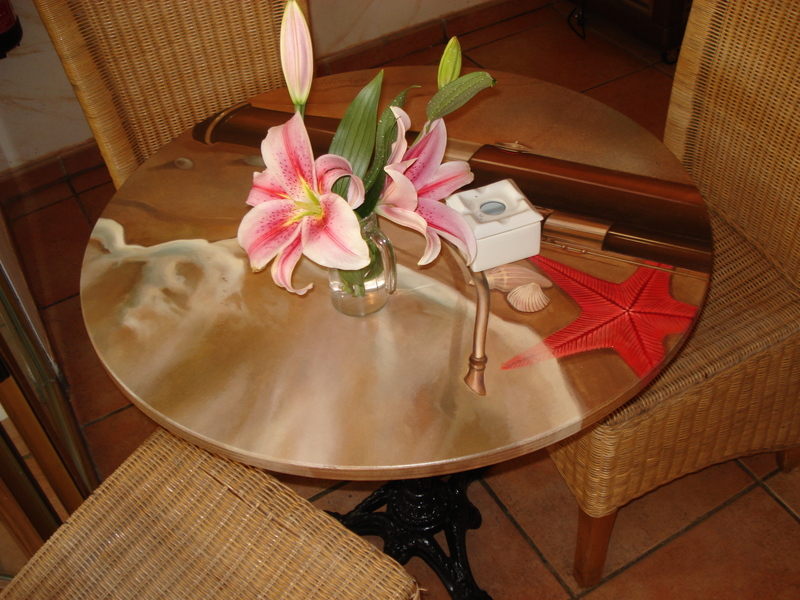 The success of the tables was demonstrated by the enthusiasm of customers, renewed at each visit to the discovery of new little details, hidden at first sight.